Draft: 2014, New York Yankees, 2nd rd. Despite being a left-handed pitcher, is primarily right-handed...Lived on the Mississippi Gulf Coast when Hurricane Katrina hit...Assisted with recovery efforts...Both of his parents served in the Marine Corps. Missed the season recovering from "Tommy John" surgery performed on August 5, 2016. Missed the majority of the season after undergoing "Tommy John" surgery on 8/5... Yankees Head Team Physician Dr. Christopher Ahmed performed the operation at New York Presbyterian Hospital... Went to spring training with NYY, but began the season with Single-A Tampa and pitched in six games before being shut down. 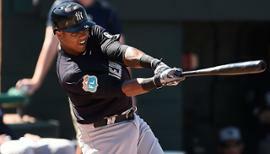 Inbox: How will Yanks craft bottom of lineup? April 4, 2019 LHP Jacob Lindgren assigned to Charlotte Knights. 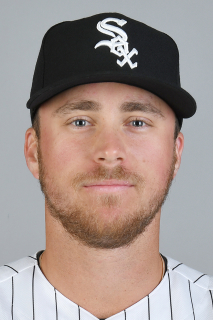 January 4, 2019 Chicago White Sox signed free agent LHP Jacob Lindgren to a minor league contract. November 2, 2018 LHP Jacob Lindgren elected free agency. October 31, 2018 Atlanta Braves sent LHP Jacob Lindgren outright to Gwinnett Stripers. March 30, 2018 Atlanta Braves transferred LHP Jacob Lindgren from the 10-day disabled list to the 60-day disabled list. Left elbow surgery. March 29, 2018 Atlanta Braves placed LHP Jacob Lindgren on the 10-day disabled list retroactive to March 26, 2018. Left elbow surgery. November 3, 2017 Atlanta Braves activated LHP Jacob Lindgren from the 60-day disabled list. February 14, 2017 Atlanta Braves placed LHP Jacob Lindgren on the 60-day disabled list. Recovery from Tommy John surgery. December 4, 2016 Atlanta Braves signed free agent LHP Jacob Lindgren. December 2, 2016 LHP Jacob Lindgren elected free agency. October 3, 2016 New York Yankees recalled LHP Jacob Lindgren from Tampa Yankees. October 2, 2016 Tampa Yankees activated LHP Jacob Lindgren from the 7-day disabled list. April 22, 2016 Tampa Yankees placed LHP Jacob Lindgren on the 7-day disabled list. April 7, 2016 LHP Jacob Lindgren assigned to Tampa Yankees from Scranton/Wilkes-Barre RailRiders. March 13, 2016 New York Yankees optioned LHP Jacob Lindgren to Scranton/Wilkes-Barre RailRiders. November 4, 2015 Jacob Lindgren roster status changed by New York Yankees. September 7, 2015 New York Yankees recalled LHP Jacob Lindgren from Scranton/Wilkes-Barre RailRiders. June 13, 2015 New York Yankees optioned LHP Jacob Lindgren to Scranton/Wilkes-Barre RailRiders. June 13, 2015 Scranton/Wilkes-Barre RailRiders placed LHP Jacob Lindgren on the 7-day disabled list. May 24, 2015 New York Yankees selected the contract of Jacob Lindgren from Scranton/Wilkes-Barre RailRiders. April 9, 2015 LHP Jacob Lindgren assigned to Scranton/Wilkes-Barre RailRiders from Trenton Thunder. 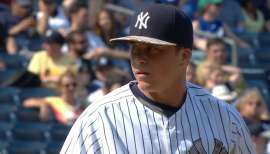 February 5, 2015 New York Yankees invited non-roster LHP Jacob Lindgren to spring training. 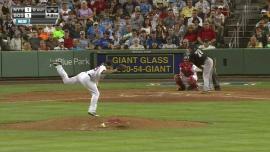 August 5, 2014 LHP Jacob Lindgren assigned to Trenton Thunder from Tampa Yankees. July 16, 2014 LHP Jacob Lindgren assigned to Tampa Yankees from Charleston RiverDogs. July 1, 2014 LHP Jacob Lindgren assigned to Charleston RiverDogs from GCL Yankees1. June 20, 2014 LHP Jacob Lindgren assigned to GCL Yankees1. June 19, 2014 New York Yankees signed LHP Jacob Lindgren.